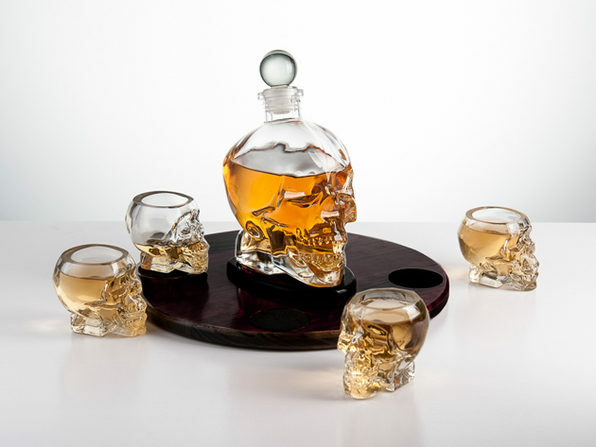 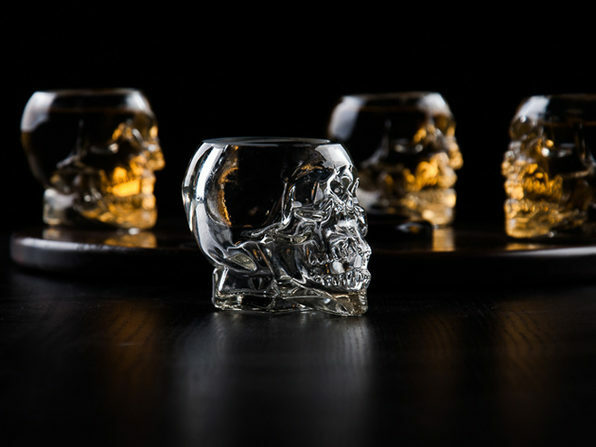 100 percent handmade and fashioned from lead-free crystal glass, this skull decanter set is a hauntingly fun addition for your home bar that will make your drinks truly stand out. 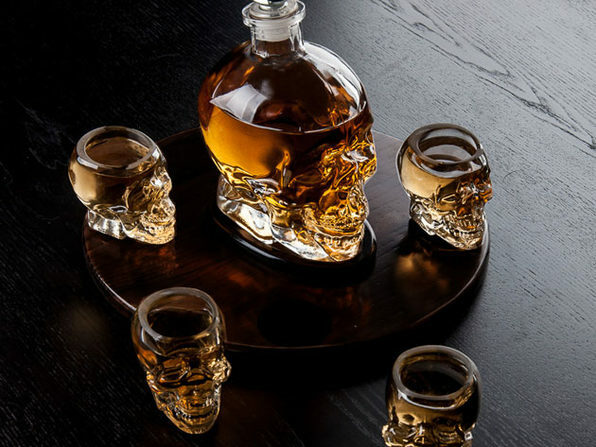 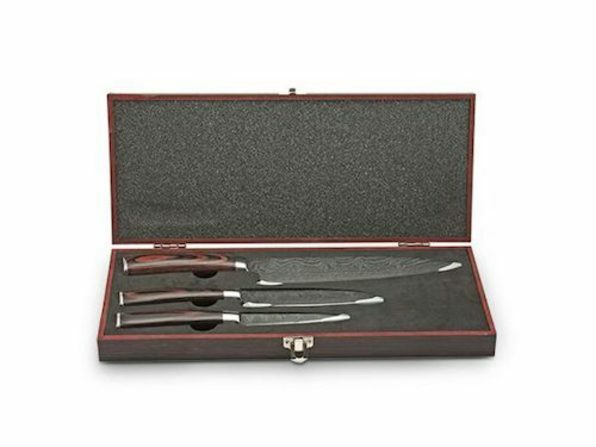 Inside, you'll find a 25-ounce skull decanter, 4 skull shot glasses, and a stunning wooden base to tie your presentation together. 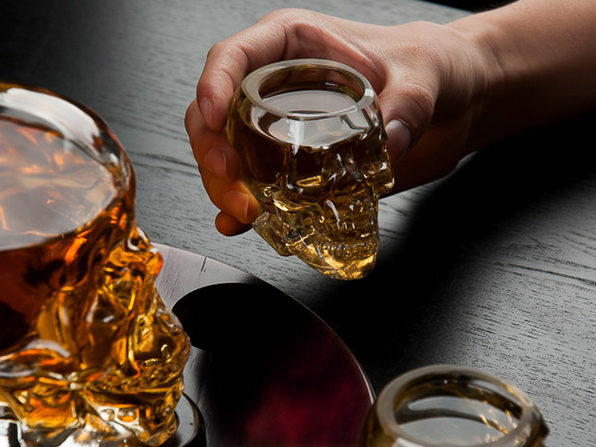 What's more, the decanter contains a floating glass skull for an eerie feel and can hold in the flavor of your favorite spirit for longer thanks to its glass stopper and rubber base.